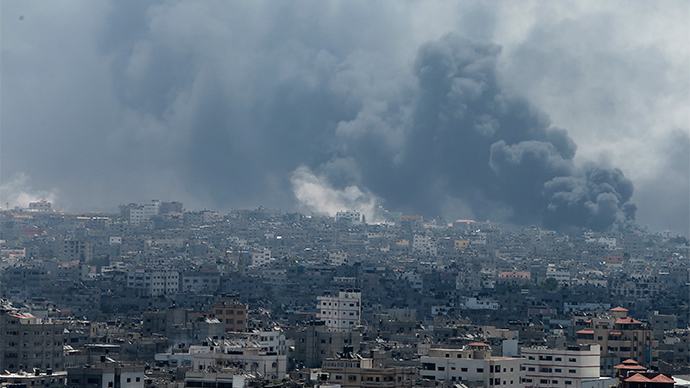 Moderators of French websites have been overwhelmed by a storm of hatred over the Israeli incursion into Gaza. 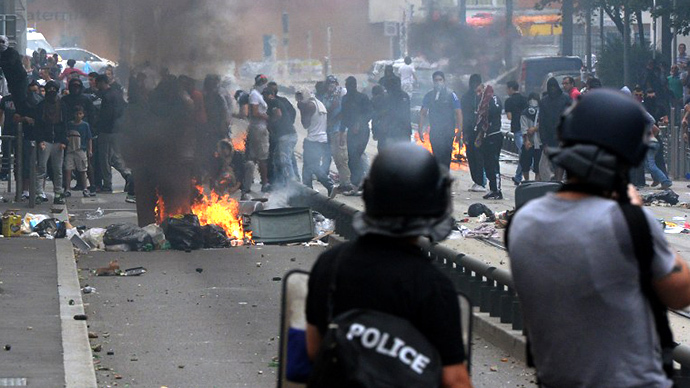 The latest conflict has triggered outbreaks of violence in France between the country’s Jewish and Muslim populations. While Parisian protests over Israel’s operation in Gaza descend into violence and clashes, the internet has seen an explosion of hate speech related to the conflict. French law bans racist, anti-Semitic or discriminatory messages, but moderators have been hard-pressed to keep up with the rise in hateful comments. Representatives from companies that monitor online content told AFP that they normally block 25 to 40 percent of comments, but since the Israeli incursion this statistic has shot up to up to 95 percent. They say the nature of the online hate comments is very specific to the Israeli-Palestinian conflict as both parties seek to monopolize websites with their hate messages. Apparently the comments are not just restricted to subjects related to the conflict. Mani said offense dialogue on the issue even cropped up in an article about the Tour de France and in another about salmon fishing. "Without any moderation, these hate messages would invade everything, particularly as they quickly breed followers," he said. Media sites are not the only ones targeted by hate campaigns, public figures social media profiles have also been hijacked by commentators to spread hate speech. Israel’s Operation Protective Edge in Gaza entered its thirteenth day on Monday as the death toll topped 500, Palestinian medics told Reuters on Monday. 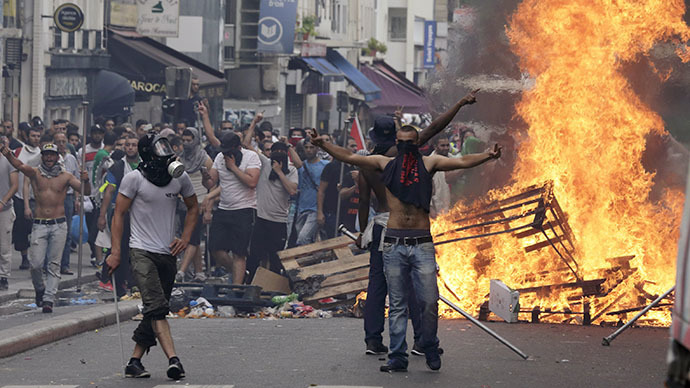 The latest incursion into Palestinian territory has sparked violent protests in France both for and against the operation. Paris witnessed some of the worst violence of the weekend as over ten thousand people took to the streets in protest of a ban on pro-Palestinian demonstrations. Protesters hurled stones and bottles at police who responded with tear gas and made at least 32 arrests. 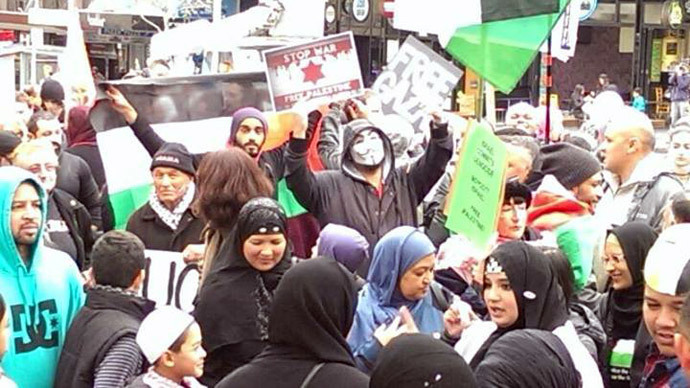 Previous protests saw attacks on Synagogues and Jewish-run businesses prompting the government ban on pro-Palestinian demonstrations. In response to the weekend’s unrest the French government has said it will take measures to crack down on anti-Semitism. Interior Minister Bernard Cazeneuve said that attacks on businesses known to be run by Jews was unacceptable and would be punished. "It is unacceptable to target synagogues or shops simply because they are managed by Jews," Interior Minister Bernard Cazeneuve told reporters on Monday.